Price Reduced! 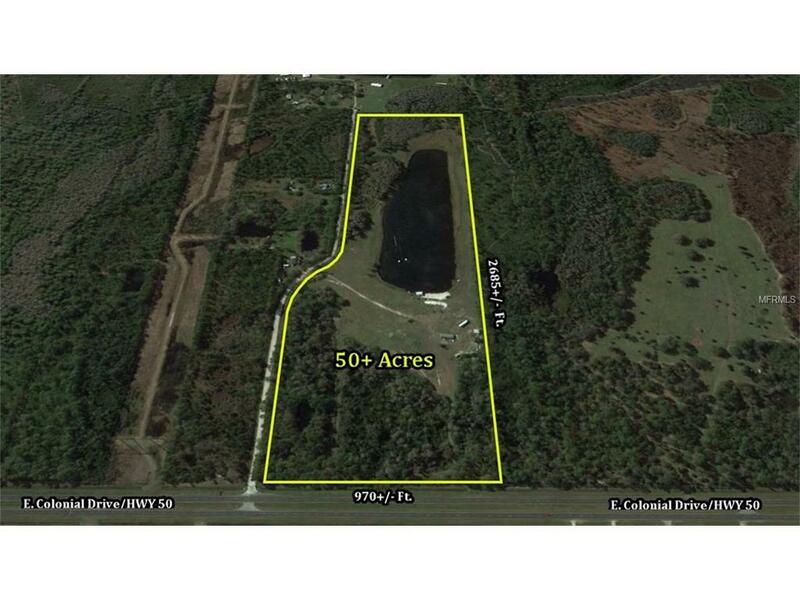 50 acres in Orange County with a Private Lake. In addition to the 1/1 mobile home, there is a 1440 sq. ft. fully insulated metal building, gazebo, pole barn, and a newer 20x30 dock with electricity. Ideal for a hunter, fisherman, water sports enthusiast, or custom home site. The private lake is 9+ acres, 60+ ft. deep and large enough to safely run a boat. Property also features a wake board cable system, mountain bike track, mature landscaping, and white sand beach. Fully fenced with entrances on E. Colonial Drive and Ponchos Lane. The main entry on Ponchos features a custom made wood/metal gate. This property is truly something special, your own private paradise.